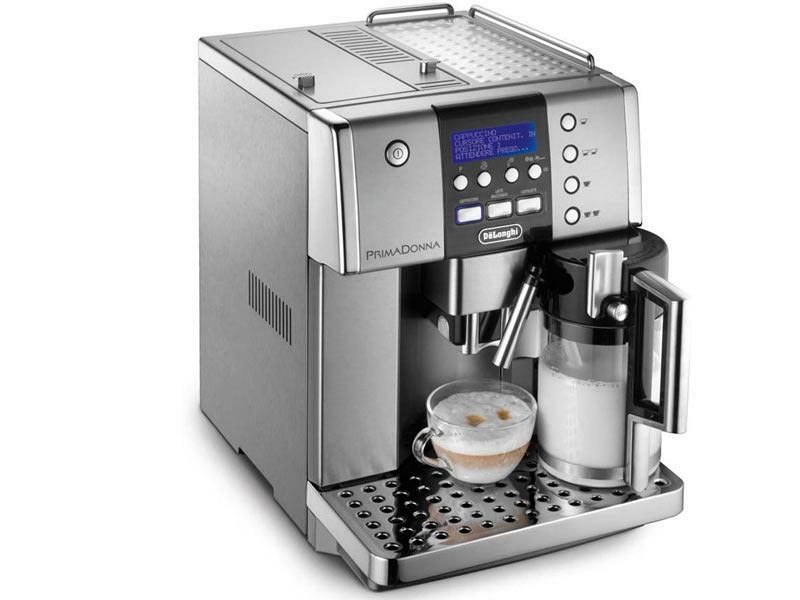 -Patented Autocappuccino System: make the perfect Cappuccino, Italian Caffelatte and Latte Macchiato. -Personalise your coffee as often as you like – it’s never been easier. Choose from short, medium or long coffee , try a strong or extra mild aroma, enjoy your coffee piping hot or at medium temperature. -The machine can be used with either coffee beans or ground coffee. -New silent integrated coffee grinder with 13 grinding settings. -New patented thermoblock: for espresso at the perfect and constant temperature. -Adjustable coffee and water quantity. -Adjustable coffee dispenser for different cup sizes. -Programmable automatic switch-on and shut-off. -Removable water reservoir (1.8 l) with water level indicator. -Empty water and beans container indicator. -You can prepare two cups of coffee with a single brewing. -Removable brewing unit with variable capacity.